Deaf cats tend to have a normal quality of life; they cope by using their other senses to compensate for the hearing loss. A deaf cat is easily startled and fearful because he won’t be aware that you are approaching. 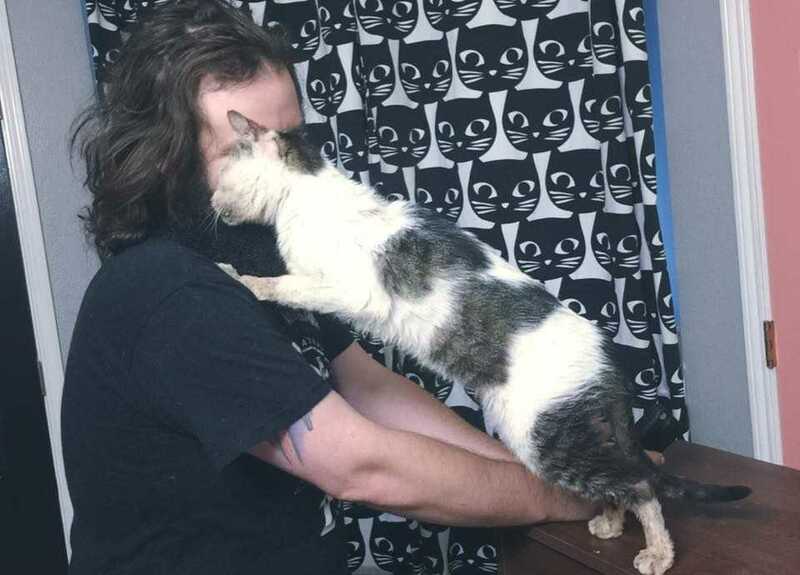 The deaf cats tend to be especially affectionate, and they’re terrific pets. A deaf cat should have a happy and fun-filled life. 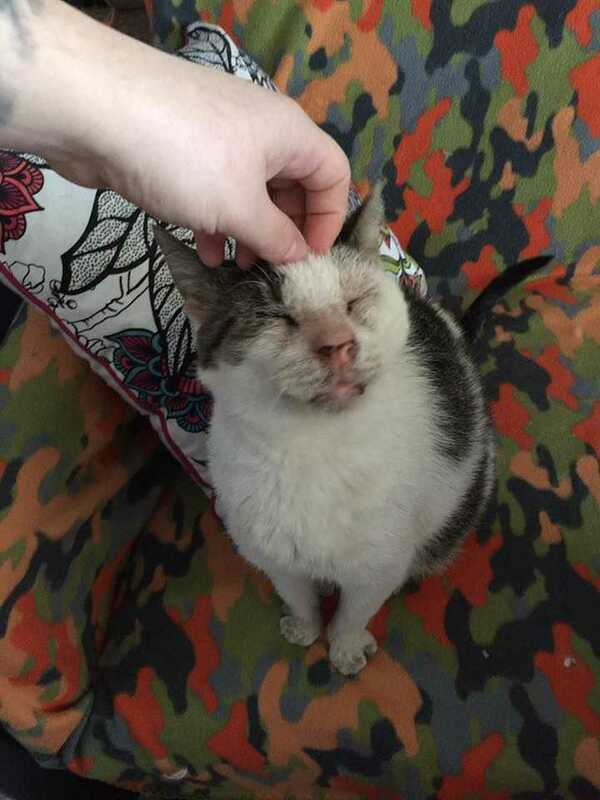 Here is 12 years old cat who is completely deaf. This affectionate cat is leading a comfortable life and is thankful to his owners for providing him all goods of life. 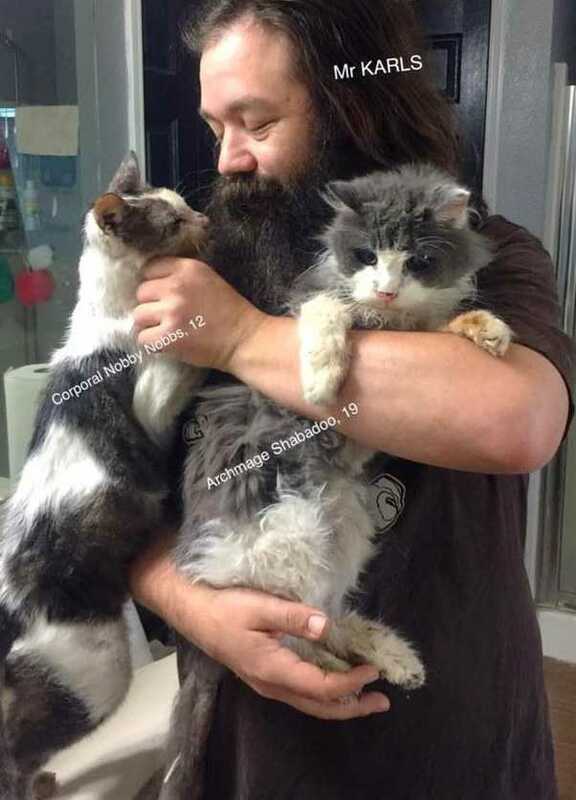 Before Nobbs was rescued, he had been living in a garage in Texas, no one there to feed or care him. At 12 years old, he was rough around the edges, in need of love and care. 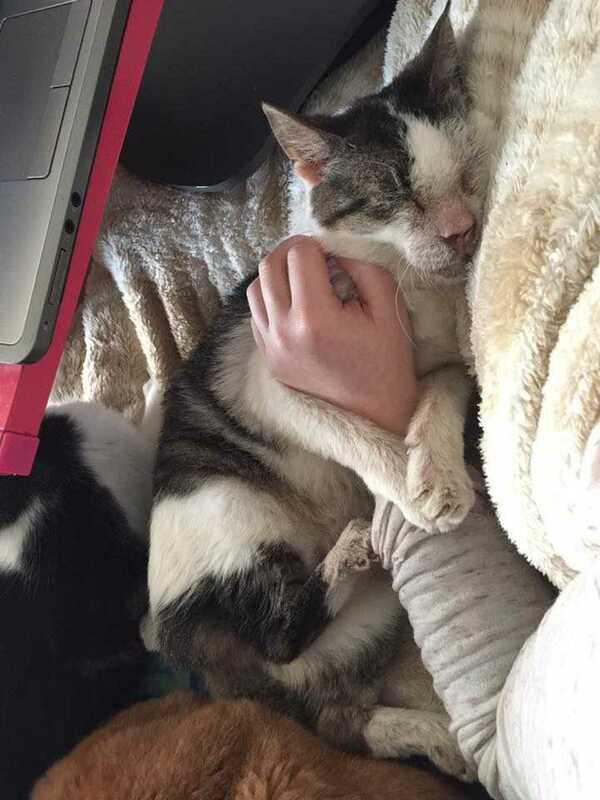 When Karyn Poplin of Kitty Adventure Rescue League and Sanctuary came across Nobbs, he was immediately attached to her, climbed up her legs for cuddles, and held onto her for a better life. 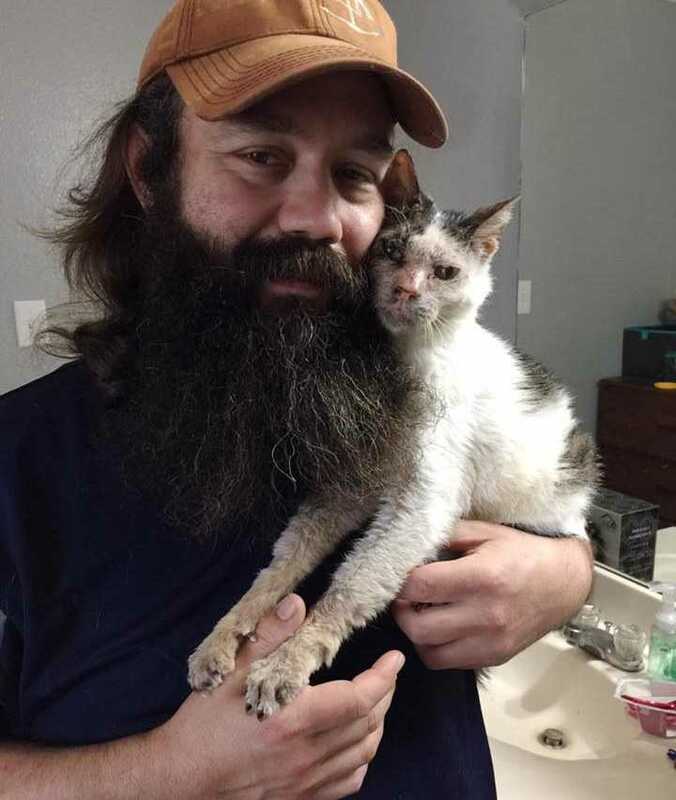 The couple has rescued countless special needs, disabled, elderly and otherwise neglected felines from the DFW TX area, but has never met a cat like Nobbs.“He screams, because he has no voice control. He makes air biscuits all day long. He sleeps under the covers, in our arms,” Karyn added. 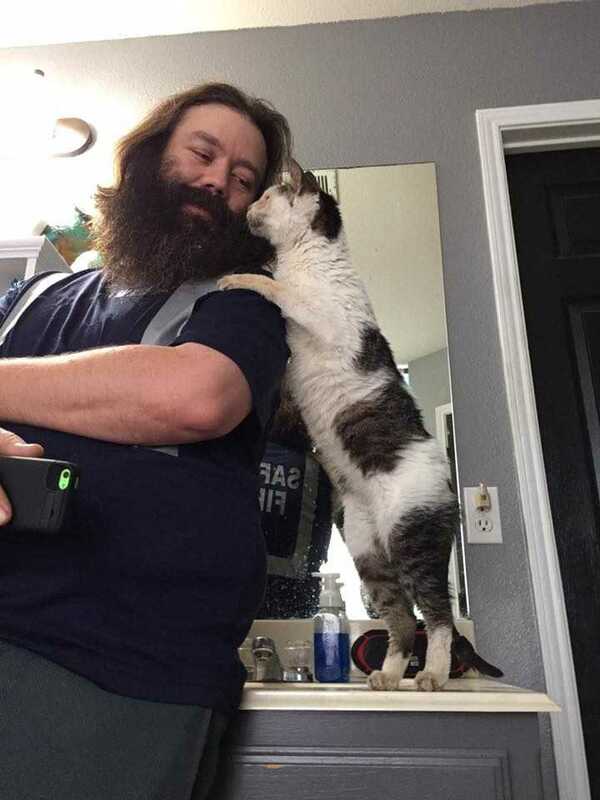 Every day when his family members come back home from work, Nobbs runs to them for cuddles. He shows how he missed their absence. “He is a little rough around the edges and totally deaf, but he is the best thing on the planet,” Karyn told. “From the moment I met him, we have been inseparable. He adores me and my husband (Gerald) and he literally tells us every waking moment,” Karyn said. 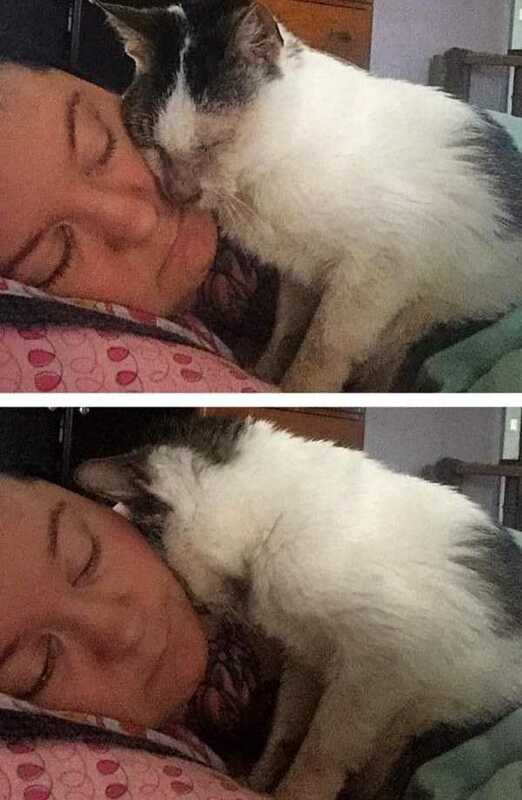 He’s been completely attached to his humans who can barely leave the room without him calling for them for love. 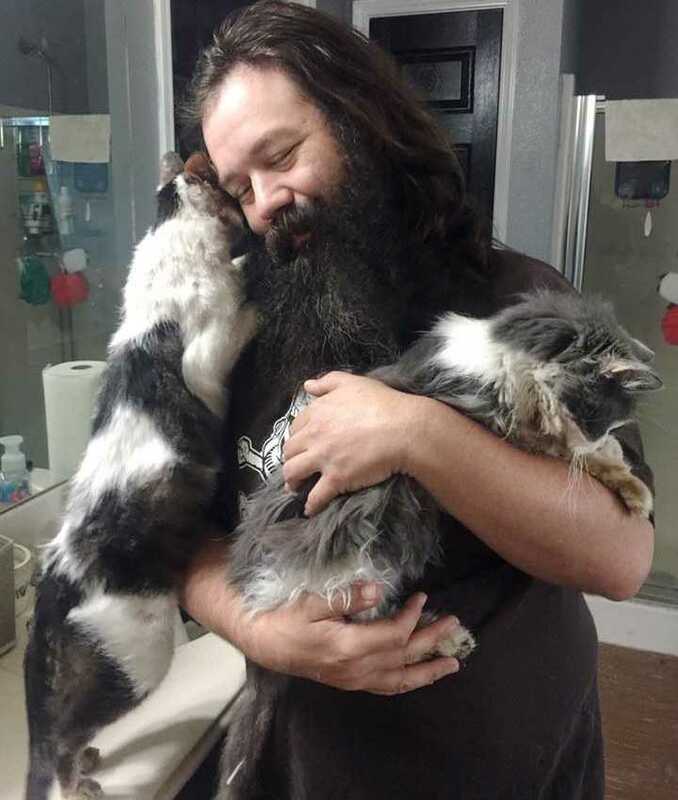 He comforts them during difficult times at the rescue and brings them hope when they are down.